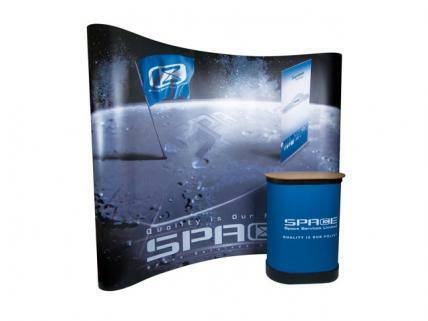 Aluminium Frame – A strong and sturdy pop-up system, in a stylish metallic blue gray color. Orbit can be set up in seconds, at the same time, providing a reliable framework for displaying your graphics. Fully Magnetic Connections – With Magnetic Locking system, Orbit can expand and locks into a firm display panel. By attaching the Magnetic Bars onto the Magnetic Nodes in the hubs, this extremely easy assembly will provide you with a seamless graphic display. Compact & Light – Everything can be packed into a wheeled hard plastic case, which offers the best protection for your graphic and Orbit. This fully portable plastic case can turn into an eye-catching podium. Various Sizes Available – Orbit comes in both straight and curved shapes. A wide range of widths and heights will provide you a unique and flexible display for your presentation.